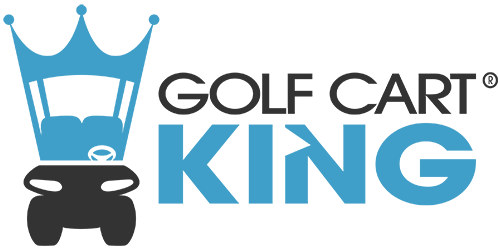 When you need a high quality windshield for your golf cart, look to Golf Cart King first. We have windshields for all of the top brand name golf carts, including Yamaha, Club Car, and EZ-GO. Our best selling windshield is the folding type, which allows you to enjoy the gentle breezes during the spring and summer months, while also allowing you to block the cold winds during the winter months. We can help you to decide the best match for you, depending on your needs. There are many factors you need to consider when purchasing a new windshield, including choice of materials. Most are made from polycarbonate or acrylics, and we can help you decide which is the best fit for you. If you want a durable windshield that is less susceptible to cracking and breaking, polycarbonate windshields are the right choice for you. These windshields are named because they are a mix of polymers that contain carbonate groups. This makes them more temperature resistant, impact resistant, and overall very, very tough! Do be aware that these windshields are not very scratch-resistant, so in many cases a hard coating may need to be applied to toughen the finish. This type of windshield gives you excellent visibility, which makes it a great choice. If you are looking for the lowest cost windshield option, this is the right choice for you. This type of material is also known as plexiglass. It is a tough and durable alternative to traditional glass windshields, and it will hold up for many years. Golf Cart King has the best selection of acrylic and polycarbonate windshields at a reasonable cost. So, let us be your one-stop shop for all of your golf cart needs.